This Saturday (30th September) sees big time Boxing return to the passionate about the sport City of Liverpool. 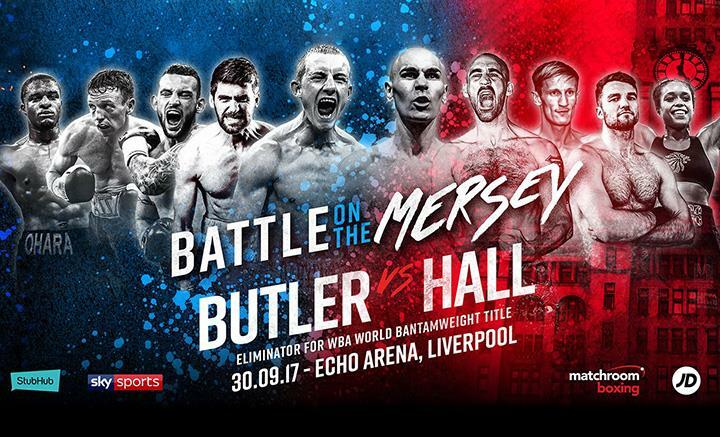 The Echo Arena is the setting for the Matchroom Boxing debut of Ellesmere Port’s former IBF Bantamweight Champion, Paul Butler. He will face the man he defeated in July 2014 for that very belt, in Darlington’s Stuart Hall. Here I preview the Card on a busy night in Merseyside. Two men who are no strangers to each other meet for the second time this Saturday, as Paul Butler meets Stuart Hall in a contest that could lead to big things in the Bantamweight division at World Title level. The two met in July 2014, with Butler squeaking a split decision win to relieve Hall of the IBF Bantamweight Title he acquired in December 2013 in a unanimous points win over the South African, Vusi Malinga. The Prize on Saturday night is a potential crack at the WBA crown. There may be a wait for a shot however as current holders (unfortunately yet again there is more than one WBA Champion) are Zhanat Zhakiyanov, the WBA’s “Super” Champion, who fights Ryan Burnett in a unification match in Belfast next month, with Burnett’s IBF crown also on the line. The regular Champion at the weight is Jamie McDonnell, but he may have to go over old ground, as a rematch of his controversial fight with Liborio Solis may well be ordered by the WBA. Butler has found himself frustrated and pushed way down the card in his most recent appearances on Frank Warren shows, and this has now culminated in his move to Eddie Hearn’s Matchroom stable. Having turned professional in late 2010, following a solid amateur career, Butler quickly made waves in the Super Flyweight division. He swiftly moved to 7-0 and stepped up in his eighth fight by beating the previously unbeaten Ashley Sexton on points at the York Hall in July 2012. This win lead to a shot at the vacant British Title, which he won in emphatic style by stopping fellow Liverpudlian John Donnelly inside the first round at the Liverpool Olympia. Two fights later, Butler captured the Commonwealth crown, stopping Yaqub Kareem in five rounds. After a stunning knockout Commonwealth defence against Najah Ali, Butler moved onto the World scene, picking up WBA and WBO Intercontinental Titles at Super Flyweight, before knocking out Oreste Bernabe Nieva to lift the WBA Intercontinental Title at Bantamweight. This set up a tilt at Stuart Halls IBF World Title in Newcastle in June 2014. In a tight fight, where a lot of the rounds were tough to score, Butler became World Champion in only his sixteenth fight via split decision. Butler decided to return to his preferred weight immediately, and after a warm up win over Ismael Garnica, “The Baby Faced Assassin” challenged the gifted South African Zolani Tete for his IBF crown at Super Flyweight. In a match Butler was favoured to win, he was stopped in the eighth round with Tete well on top, a brutal uppercut ending matters. Since then Butler is unbeaten in his last seven fights, winning five by knockout, and has moved gyms from Arnie Farnell to Joe Gallagher in the process. The opponents have not been the best though, and Butler hasn’t looked at his best, which is understandable given the level of opposition and lack of big fights. It seemed as though he was going through the motions to see his contract out with Frank Warren. This looked to be reflected in how Butler was matched, and how far down the cards he was towards the end of his agreement with Warren. He goes into this Saturdays contest with renewed purpose, and the goal of two-time World Champion firmly in his sights. Darlington’s Stuart Hall will be mindful that this could be his last assault at World honours. At the age of 37, and coming off a loss two fights ago for his old belt, time is against him, and he will be doing all he can to produce a positive result this weekend. Hall turned pro in 2008, and suffered a blot on his record in only his fourth fight, a draw against Stuart McFadyen in Bolton in March 2009. His rebuild from this was impressive. Three fights later he stopped former British Champion Martin Power in eight rounds. This earned him a crack at the British Bantamweight Title, where he forced Champion Ian “Dapa” Napa to retire on his stool at the end of eight rounds citing heat exhaustion. Hall was Champion after just nine contests. Hall managed to secure the precious Lonsdale belt outright in under a year. He stopped Martin Power, this time in ten rounds, and then stopped Gary Davies (TKO7) and John Donnelly (TKO5) to gain the belt for keeps. Next came a challenge for the European and Commonwealth Titles. However, Jamie McDonnell would hand Hall his first career defeat in a tight points defeat. After a comeback win, Hall again tasted defeat for the European crown, when he fell to a points defeat at the hands of the awkward Bristolian, Lee Haskins. Once again a comeback win put him in Title contention, and Hall picked up the Commonwealth strap with a unanimous win over current British Champion Josh Wale. 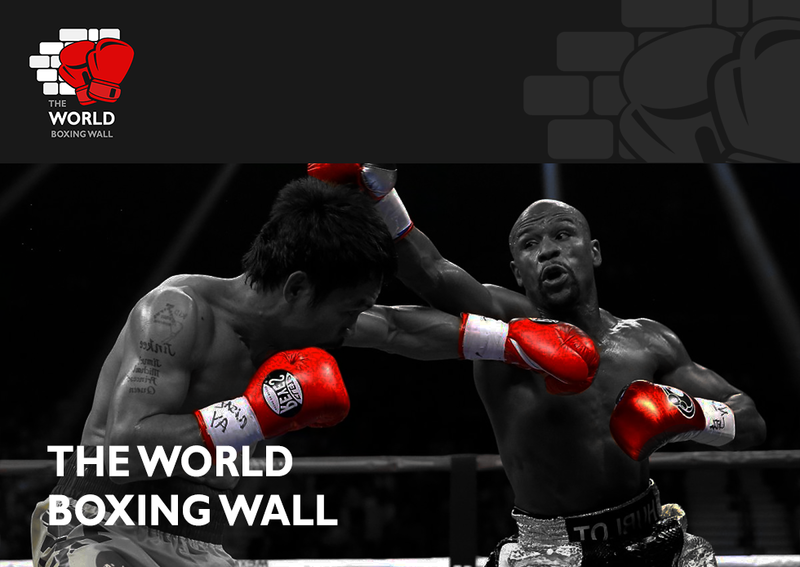 Hall then was directed down the IBF World Title route. He beat Sergio Perales on points in Doncaster to climb the rankings, and after the IBF stripped Jamie McDonnell of their Title, as he failed to agree terms with Vusi Malinga. Hall was left to contest the vacant World crown against Malinga in Leeds, and took full advantage to win the Title on the cards. Hall then hit a rocky patch in his career. His first defence against Martin Ward ended in a technical draw, after an ugly clash of heads ruled Ward out of the contest in round two. He was then edged out for his Title when Butler beat him in Newcastle, but received an immediate shot at his old belt once Butler had vacated. Randy Cabellero would prove a class above though, widely outpointing Hall in Monte Carlo for the vacant Title. Four unanimous points wins followed these setbacks, three over eight rounds and the last a twelve round points win over Rodrigo Guerrero, to set up a rematch against Lee Haskins, again for the IBF Bantamweight crown. The fight would take place at the 02 Arena in London on the Golovkin v Brook undercard. Haskins was awarded a points victory in a match that hardly caught fire, due mostly to the awkwardness of Haskins. Hall’s last assignment was in June on a JDNXTGEN show in Newcastle, easily outpointing Jose Aguilar over six rounds. I think that Butler’s youth will triumph over Hall, and wider this time. I feel the Scouser is too fresh and will have come on slightly more since their last meeting. A Butler unanimous points win is my pick. The undercard features some good contests.Rocky Fielding (24-1)makes the first defence of his British Middleweight Title against Scotland’s David Brophy (19-1-1). The brash and outspoken O’Hara Davies (15-1) returns from his first career defeat against Josh Taylor last time out. He meets Tom Farrell (13-0) for the WBA International Super Lightweight Title. Sean “Masher” Dodd (14-2-1) will defend his Commonwealth Lightweight Title in a local derby against the so far disappointing former Great Britain captain, Tom Stalker (12-2-3). New signing Dereck Chisora (26-7) features in a Heavyweight contest, while Anthony Fowler (2-0) continues his education againstJay Byrne (5-2) at Super Welterweight. Natasha Jonas, Craig Glover and Scott Fitzgerald are all in action on a busy bill.